Juan Pedro Damiani is a longstanding member of FIFA’s ethics committee, the primary internal body that as of late has been tasked with rooting out the corruption of FIFA’s members and banning them from soccer’s governing body. From what we know about FIFA, it shouldn’t shock you to discover that Damiani is now suspected of not being all that ethical himself. When not sitting on the ethics committee’s adjudicatory board, Damiani is a lawyer and also the president of Peñarol, a prominent club in his native Uruguay. All of this naturally makes him a prominent figure in Uruguayan soccer. Which, South American soccer being what it is, has put him in contact with some unsavory characters. One such character is Eugenio Figueredo, a compatriot of Damiani who was once a vice president of FIFA. Figueredo lost his position in FIFA when the ethics committee provisionally banned him after he was arrested and charged by the U.S. Department of Justice for allegedly receiving millions of dollars in bribes from marketing companies in exchange for sweetheart television rights deals for future Copa América tournaments. However, in the Panama Papers that Süddeutsche Zeitung and other outlets received and reported on yesterday (to make the long, confusing story of the Panama Papers short: a whistleblower leaked to the media an unprecedented number of internal documents of a Panamanian law firm that specialized in setting up sham corporations in tax havens around the world), it was revealed that Damiani, through his law firm, had extensive financial ties to Figueredo. According to the Panama Papers, Damiani and his law firm act for more than 200 offshore companies registered with Mossack Fonseca, the Panamanian legal firm whose database has been leaked. The documents also show that Damiani arranged the formation of a Panamanian company through which Figueredo, who is also Uruguayan, was given special powers to make loans to sporting institutions. The professional links between them continued until at least February 2015, when Damiani asked Mossack Fonseca to give special powers to Figueredo’s wife over a company called Gilson Overseas SA, which is now under investigation. Less than four months after Mossack Fonseca carried out the work, Figueredo was provisionally banned by the ethics committee. 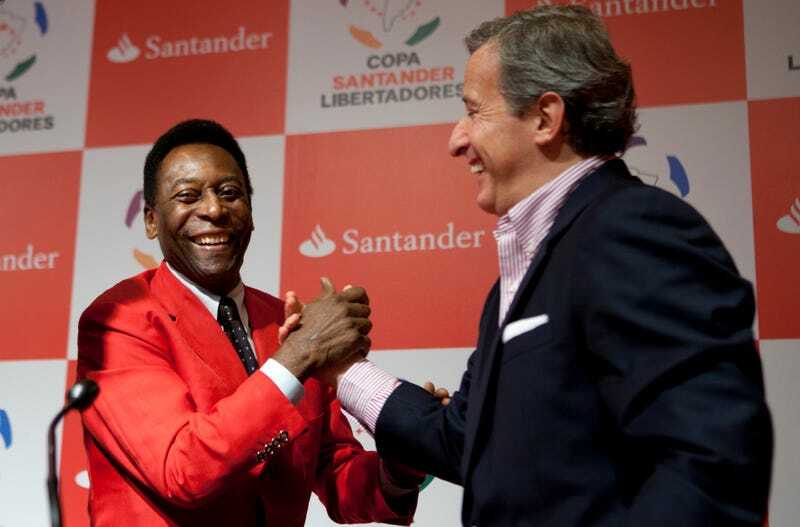 The documents also reveal that in June 2015, a month after Figueredo’s arrest, the former Fifa vice-president was still the “beneficial owner” – the real owner of a company, whose name may not appear on the shareholder register – of five companies. He was also still named as an official of two other companies. All seven were represented by Damiani’s law firm. Five out of the seven remained active at the end of 2015, the Panama Papers show. So Damiani’s law firm regularly facilitates the creation of shell companies, specifically and repeatedly worked with Figueredo in creating and maintaining shell companies, just so happened to switch up the paperwork on one account to put Figueredo’s wife in charge of it right before Figueredo was hit with a FIFA ban, and yet Damiani never saw fit to alert anyone on the ethics committee to this potential conflict of interest as he sat in on Figueredo’s FIFA investigation. It’s only because Damiani failed to notify the ethics committee’s adjudicatory chamber chairman—a man who himself has a history of whitewashing FIFA corruption—of his business links to Figueredo until last month, after the Uruguayan had been confronted by the Guardian about the revelations in the Panama Papers, that FIFA opened its own investigation into Damiani. And we had such high hopes for the new FIFA. The more things change, and all that.